2. 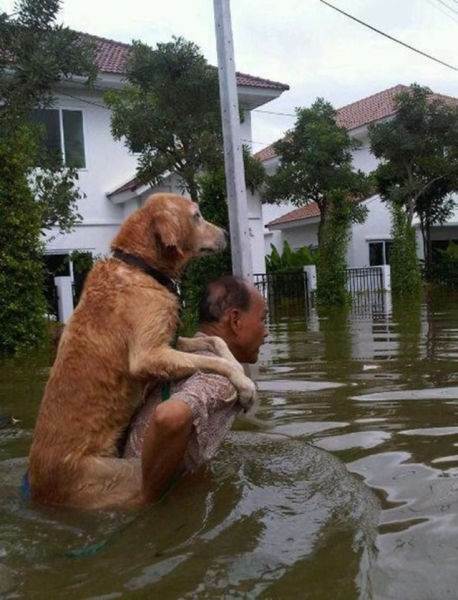 Full scale image shown of: Man carrying dog on his back away from flooded neighborhood . Picture Category: Pet Agony .